San Francisco has had rent control for some time, and a new paper shines a very bright light on how rent control there has affected housing affordability and the local rental market. The paper is entitled “The Effects of Rent Control Expansion on Tenants, Landlords, and Inequality: Evidence from San Francisco,” and is by Stanford economists Rebecca Diamond, Tim McQuade and Franklin Qian. From a research design perspective, the paper harnesses a unique aspect of San Francisco’s rent control law. When originally adopted in 1979, the city rent control ordinance exempted small, “mom and pop” structures of four units or less. That changed in 1994, when a voter initiative extended rent control to smaller units built before 1980. This discontinuity in San Francisco rent control system provides a convenient quasi-experiment for testing various hypotheses about the effects of rent control. As an experimental or treatment group, the study uses those pre-1980 1-4 unit homes that were subjected to rent control by the later 1994 changes to the ordinance. The control group is 1-4 unit homes built after 1980 but before 1992. One to four unit buildings may be the “missing middle” in other cities, but in San Francisco, they’re a major component of the housing stock, making up nearly 30 percent of rental housing in the city in 1990. Those who are lucky enough to have a rent-controlled apartment garner substantial economic benefits, which Diamond, et al estimate as being worth about $2,300 to 6,600 per person annually, with total benefits of nearly $400 million per year. The benefits tend to go disproportionately to older and longer tenured renters. Those who are younger and have live in an apartment a shorter period of time are more likely to move out, allowing landlords to adjust rents upward (so called “vacancy decontrol”). The standard economic argument against rent control is that it decreases the supply of rental housing: owners of current buildings have strong incentives to convert them to other uses (reducing the housing stock, and thereby pushing up market rents). Proponents of rent control point to some jurisdictions where rent control has had little apparent affect on housing stock, but these tend to be cities that have very weak or lenient systems of rent control: Laws that don’t limit rent increases don’t have adverse housing supply impacts. So what about San Francisco: It obviously lowers rents for those covered by the ordinance, but what has been the effect on housing supply?
. . . compared to the control group, there is a 15 percent decline in the number of renters living in these buildings and a 25 percent reduction in the number of renters living in rent-controlled units, relative to 1994 levels. As the pool of rental housing shrinks due to rent control, lower supply tends to push up rents market-wide. Diamond et al estimate that rent control has diminished rental housing supply by about 6 percent, and had the effect of driving rents up 7 percent. It doesn’t sound like much, but summed over the entire market, the value of the loss in welfare to renters is estimated at $5 billion. Taken together, we see rent controlled increased property investment, demolition and reconstruction of new buildings, conversion to owner occupied housing and a decline of the number of renters per building. All of these responses lead to a housing stock which caters to higher income individuals. Rent control has actually fueled the gentrification of San Francisco, the exact opposite of the policy’s intended goal. If you’re looking for a creative application of “big data” this is it. Diamond and her co-authors have assembled an impressive and extraordinarily detailed database to facilitate their analysis. 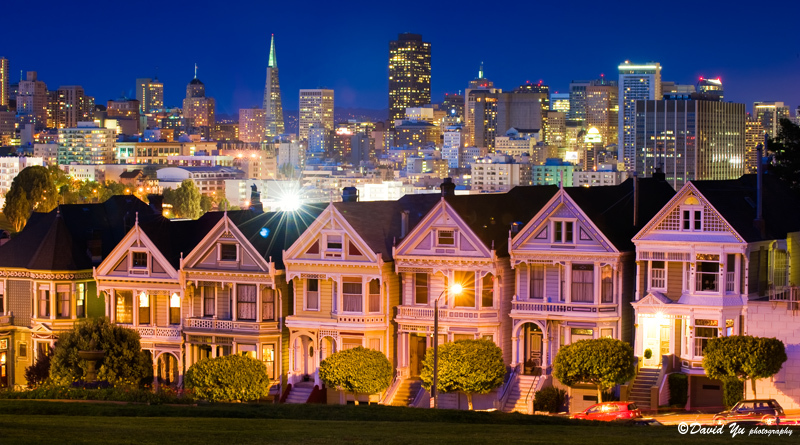 They’ve identified and tracked all the individuals reported living in San Francisco in 1990. Similarly they’ve identified all the apartments in the city, including their size, age, and whether they’ve been renovated or sold. They match this to data that shows condo conversions, track city rent levels, and estimate zip code level rents for the city. One of the criticisms of rent control levied by economists is that it leads households to stay in apartments which they be happier moving out of. Because rent control is tied to continued tenancy in a particular apartment, one might face a big rent increase if one moved to a different apartment, say in response to a change in jobs or household membership. Over time this produces a mismatch between the kind and location of apartment a household might like to live in and their rent-controlled apartment. Those for whom the mismatch grows too extreme, give up their rent controlled apartment and move elsewhere. But many stay, with their gains from rent control compensating them for the disutility of an apartment that no longer matches closely matches their preferences. Diamond, et al, examine these welfare effects and find that they are largest for younger households, who are more likely to experience changes in jobs or household circumstances that make remaining in their rent controlled apartment a larger departure from their preferences. This study offers some of the most reliable and detailed analysis of the effects of rent control yet undertaken. It suggests that while there are some winners from rent control–those who have the good fortune to obtain rent-controlled apartments (especially older, and long-term residents whose housing preferences are unlikely to change), the net effect of rent control is at best mixed, and while some pay lower rents, others will end up paying higher rents.